For over 30 years I’ve run, managed, owned and consulted with companies ranging in size from $5 to $200 Million….private entrepreneurial family companies to divisions of Fortune 500 companies, including more recently as executive coach and facilitator to over 50 private business owners on peer advisory boards. I have experienced every aspect of a company’s life cycle ….from the joys and challenges of growth and expansion to the difficult and agonizing decisions necessary in turnaround situations to return companies to growth and profitability. I’ve learned the hard way what works and what doesn’t in getting people on the same page working together to achieve common goals with traction and execution gained through discipline and accountability… all within a healthy cohesive company culture. I only wish I had discovered EOS 30 years ago…..It would have saved me many painful learning experiences. Having now found EOS, my passion is to share EOS with business owners to help them achieve their vision, traction® and create a healthy, functional and cohesive leadership team and company. 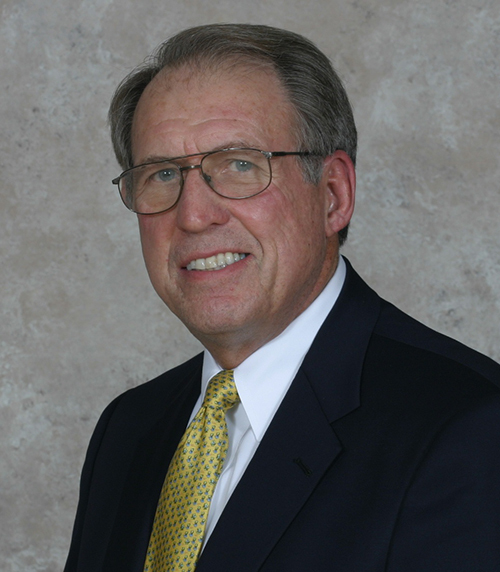 Learn More About Don Schlueter. Learn more about Don Schlueter's EOS Story and listen to real testimonials from many of his satisfied clients. We have a 12 year old company that has experienced solid growth in reaching $15.5 million in sales this year. The growth in our business has resulted in many positives, but the most difficult aspect of the growth has been keeping our team aligned with our direction. Although some of us knew the direction, our vision was not fully explained to everyone in the organization. and has helped us make major progress in a very short period of time. EOS is a total system for running all aspects of your business. It is one of the best tools I have found to get your whole team behind your vision and inspired to take focused action. Don Schlueter has been masterful in helping us implement the tools of EOS within a short time. I would highly recommend Traction™, EOS, and Don to implement the process in your organization. After a bachelor’s degree in business, MBA, and countless business books, EOS may be the most practical system I have found to move our business forward. Learn what EOS can do for your business and how Don can help you implement it. © Copyright 2019 The Warwick Group, Inc. All Rights Reserved. Design By: Web Contempo.